The Quick Service Restaurant (QSR) Media Awards were held in Sydney on 13th June 2018. These awards showcased the best franchised businesses throughout Australia in terms of their innovation, creativity, execution, and overall impact in the industry. We are thrilled to announce that Banjo’s WON First Place for Best Brand Transformation!! Banjo’s Head of Marketing & Creative, Karen Ahern (second from left above), attended the event to receive the hard earned award. On 15th June 2018, Banjo’s CEO and Managing Director, Jessica Saxby was awarded the Franchise Woman of the Year Award in the Vic/Tas division of the Excellence in Franchising Awards. This award is for excellence in personal and professional achievements by a woman in the franchising sector. BIG congratulations to Jessica (below centre) on a well-deserved achievement. She has worked hard to develop Banjo’s into the successful brand it is today! On 23 December 2017, almost five months to the day after the blaze that almost destroyed the Banjo’s Rosny Park bakery the Tasmania Fire Service crew who attended the fire have reopened it! 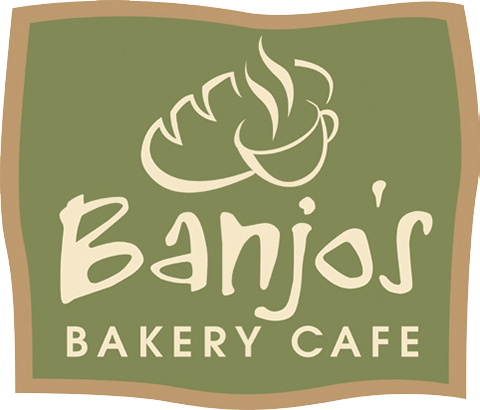 On July 25 a gas explosion sparked a major fire at the Banjo’s store, forcing an evacuation of the staff, customers and surrounding businesses and streets. “Without the rapid response from store manager and staff, and hard work of the Tasmania Fire Service, along with the efficient evacuation of the building and surrounding properties a real tragedy could have occurred. GM5FK hits the Derwent Valley! A big congratulations goes out to Banjo’s New Norfolk, Triple M Hobart and the local community after raising a whopping $6,750 this week for Give me 5 for Kids and the Royal Hobart Hospital, with a wonderful $2,000 being donated by Banjo’s New Norfolk!! Although the Derwent Valley didn’t quite beat the Huon Valley’s $9,340 total – the support that turned up was HUGE! This brings the GM5FK’s Battle of the Valley’s total for 2017 to a whopping $16,090!! A HUGE thank you to everyone who donated and showed their support.